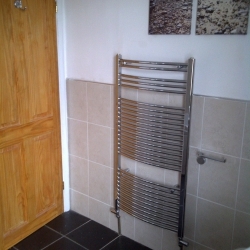 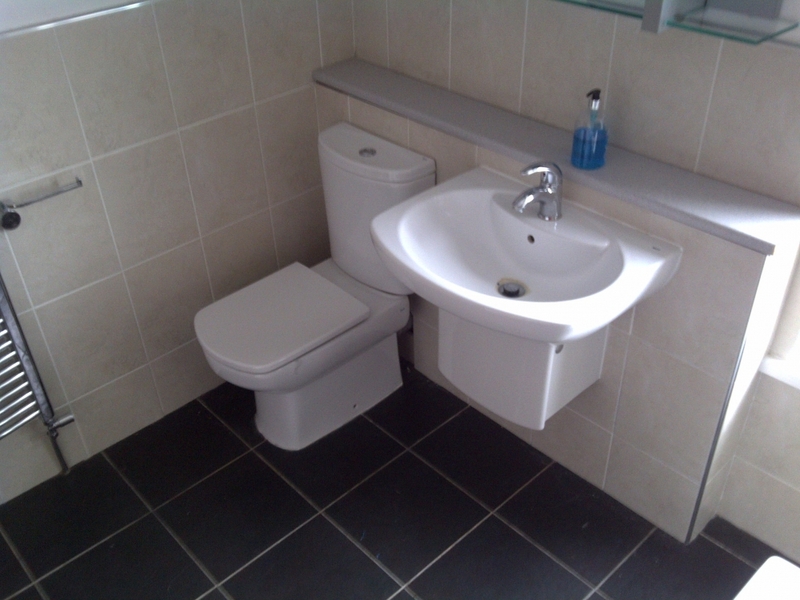 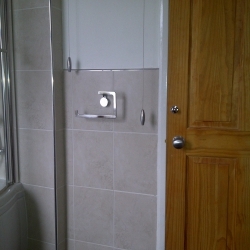 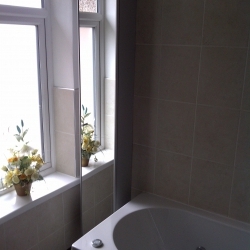 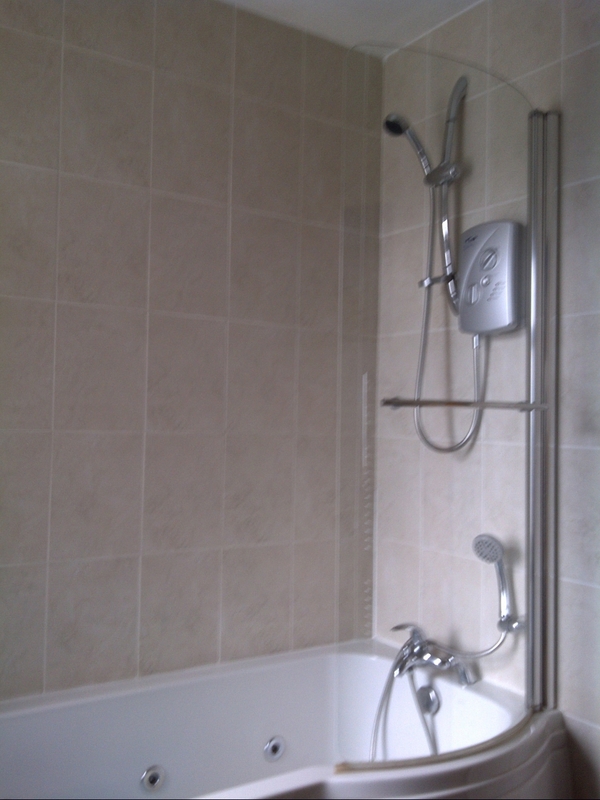 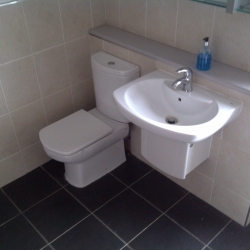 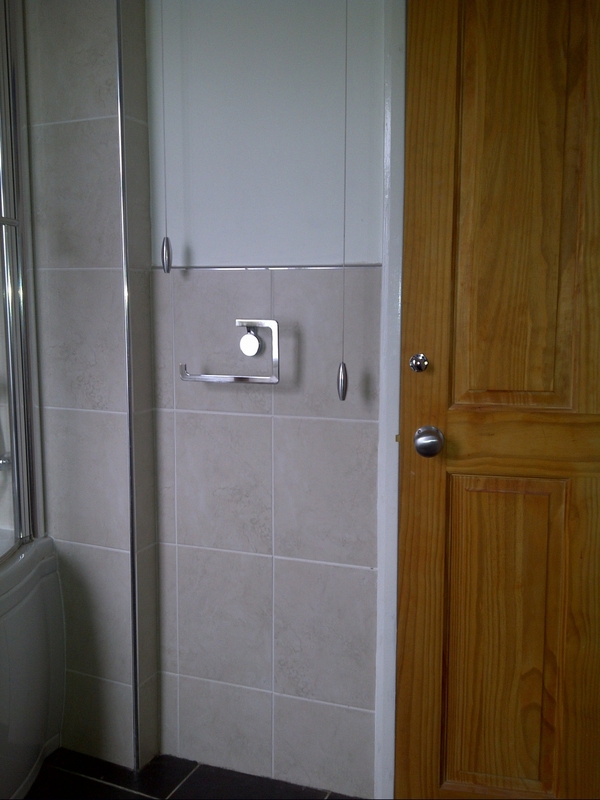 This brand new bathroom was done with tasteful half-way tiles separated by nice silver beading. 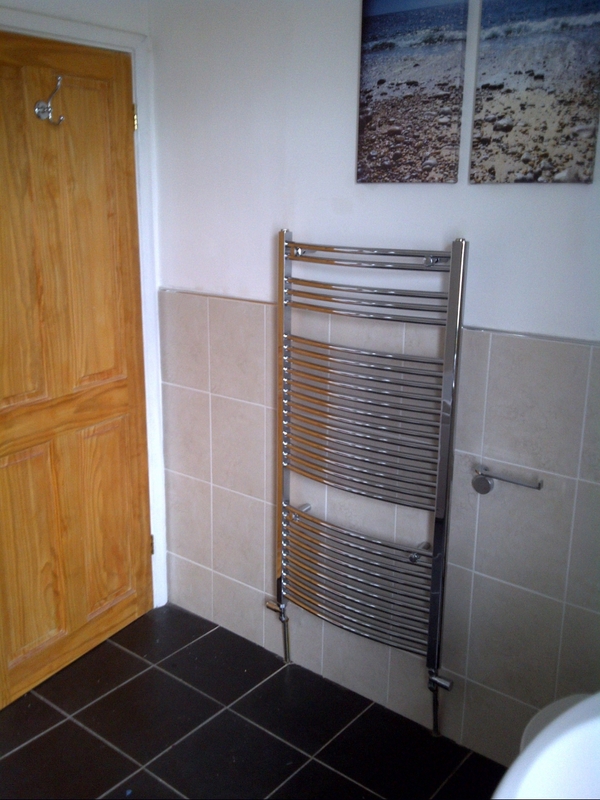 The floor tiles were charcoal/dark-grey and looked very nice as a contrast. 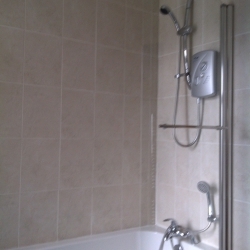 The accessories and units were all great and fitted very well. 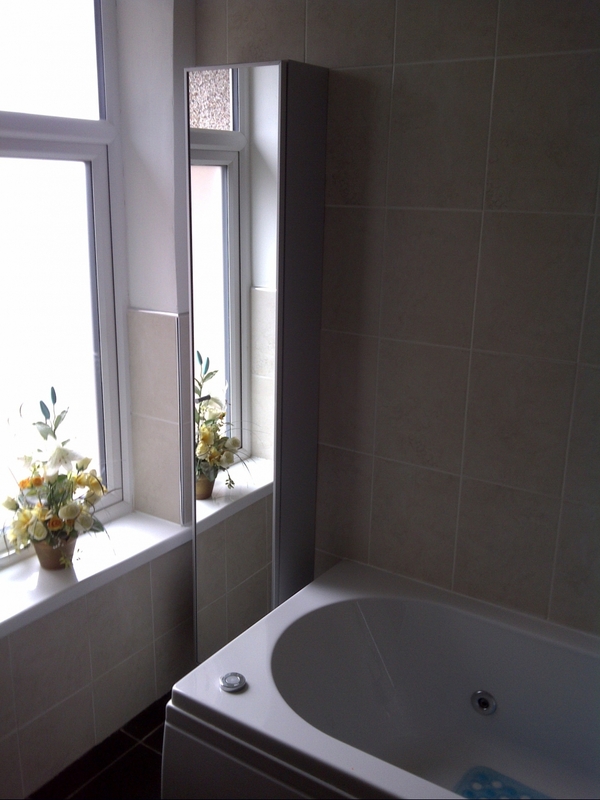 Bathroom now looking stunning!